Teitsworth Trailers is excited to partner with PJ Trailers. 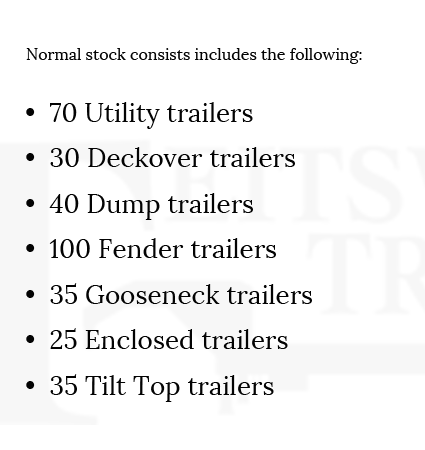 We proudly sell their trailers, known for both quality and reliability. Learn more about them by using the link below. Our goal is to provide our customers with high quality, professional grade PJ and Stealth trailers, at the most competitive prices. Come to Geneseo to pick out your new trailer. Buying a trailer is an important decision; we offer everything you need to get the right one. We carry over 200 different models to ensure that you find just the right one. Trading an old trailer for a new one is a great way to save money and hassle. We promise to give you a fair price for your trailer. Click below to find out what your trailer is worth.